It happened the day we were putting up the Christmas tree. I was also trying to help guide Justus, our 16-year old, as he was finishing a big research paper for his college class. Decorations had exploded all over the living room, and I’d just discovered that not one, but two of our strings of lights for the tree weren’t working. Malachi’s solution to every lunch would be hot dogs if I would allow it. So it was no surprise when that was his suggestion this day too. Aha! That gave me an idea. 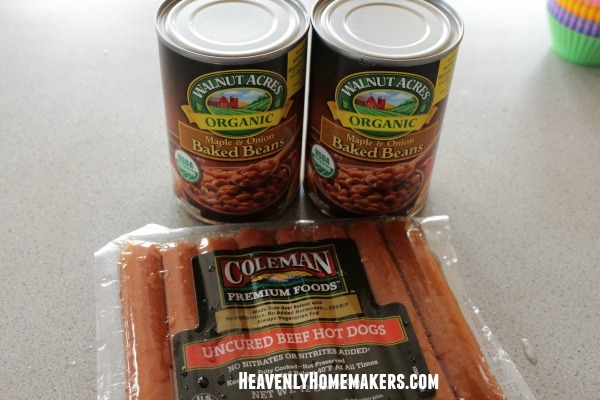 I said, “Malachi, go grab a package of hotdogs from the freezer and get two cans of baked beans. We’ll make Beanie Weanies when we get home.” And there was much rejoicing by all. 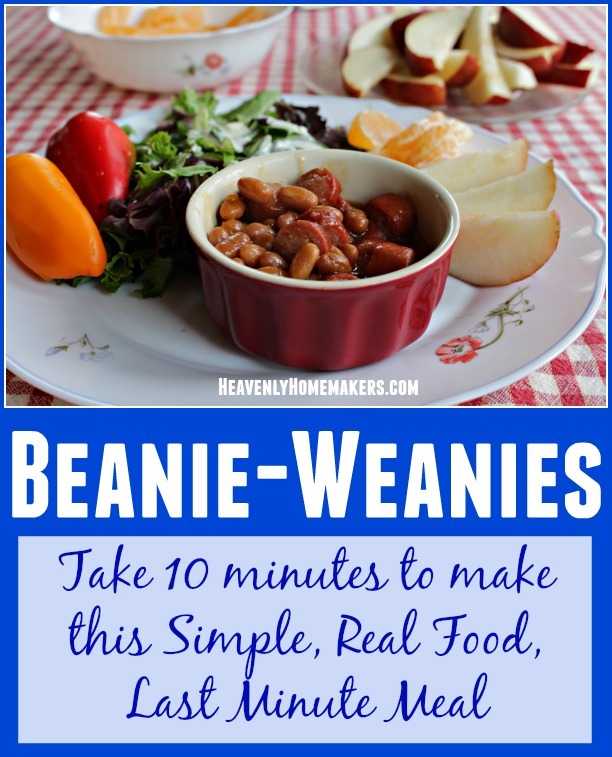 When you’re in a hurry and you don’t have anything planned for your meal, make Beanie Weanies. I know this isn’t a typical recipe idea you’re used to hearing about from me. But there really is something about a pot of bubbly baked beans with bites of hotdogs that is comforting, am I right? Plus, this meal doesn’t have to be unhealthy if you use the right ingredients. Even the most health conscious among us need a fall back meal sometimes. Beanie Weanies it is. Rock on. Best tip of the day: Keep a supply of canned of baked beans in your pantry. Keep a supply of better-than hot dogs in your freezer. When you’re in a hurry and need a fast meal, mix them together and lunch is served. Not only did we manage to finish Justus’ big research paper that morning and put (working) lights on our Christmas tree, we had a fantastically satisfying meal that only took about ten minutes to make. Am I weird? Is my whole family weird? What can we say? We all really love this meal. 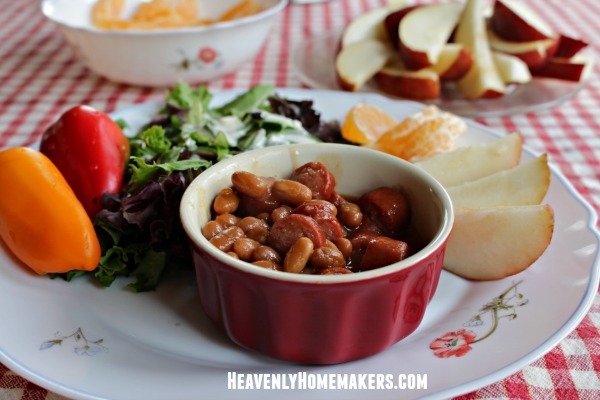 The Beanie Weanies tasted great along with a mixed green salad, clementines, sweet peppers, and slice pears. The sides took hardly any effort to prepare so I’m not kidding when I say that this meal really only takes about ten minutes to make. ‘Fess up! Who’s a Beanie Weanie fan?